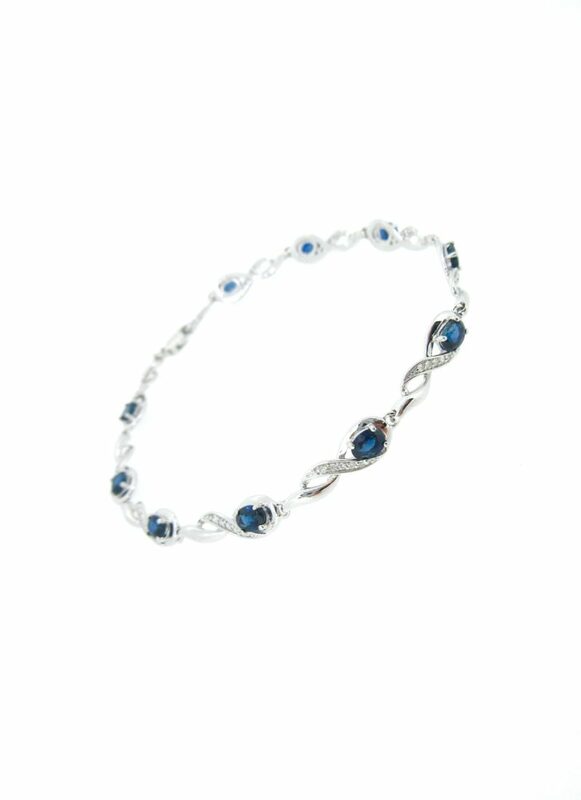 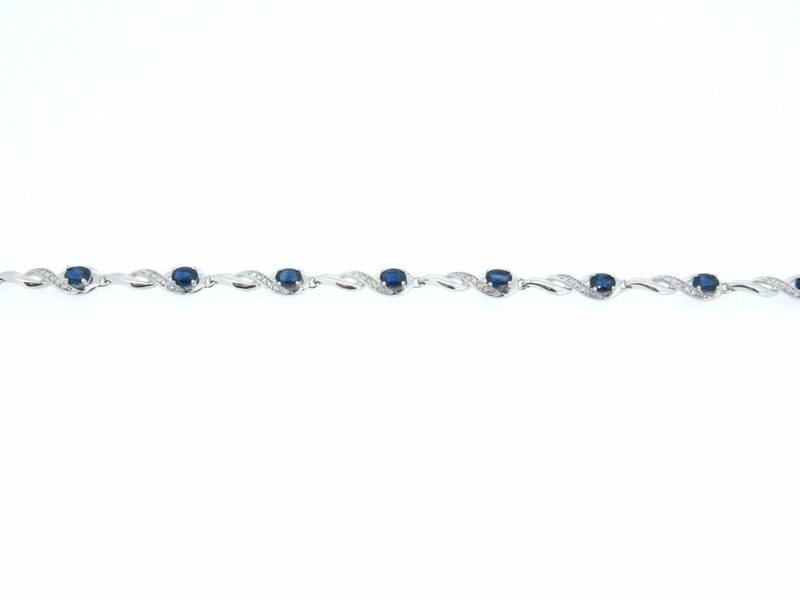 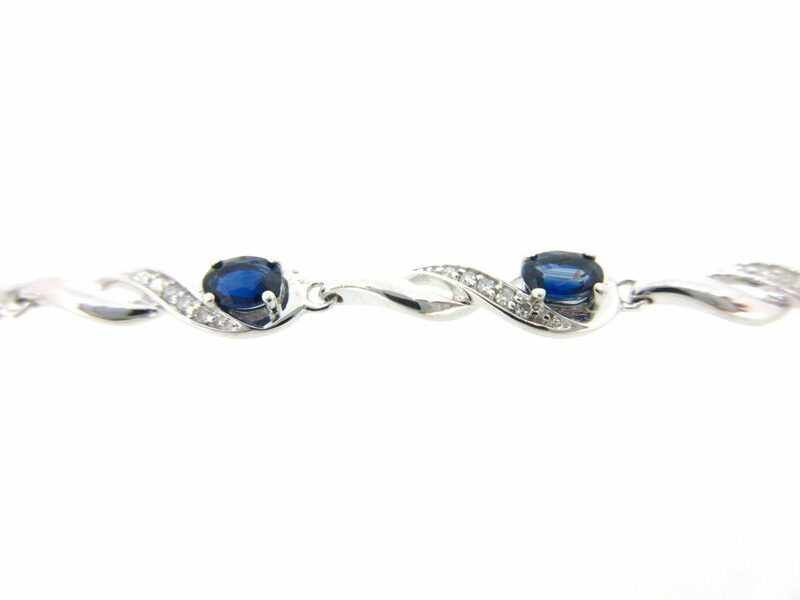 Sapphire & diamond bracelet set in 9ct White gold. 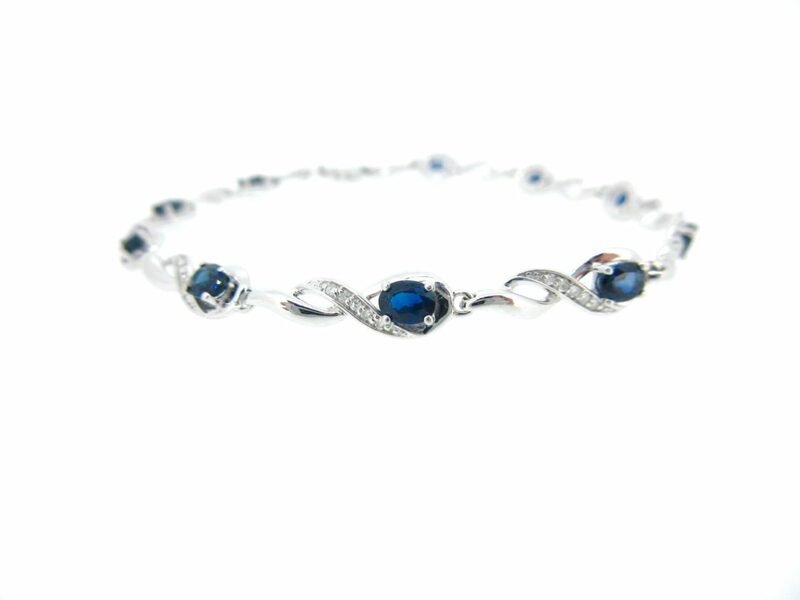 Ten oval cut sapphires with .20ct of diamonds. 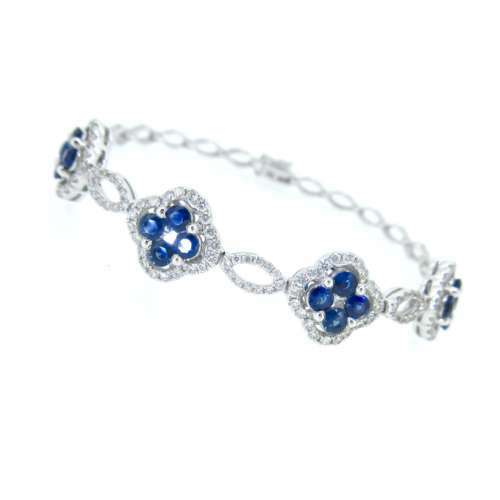 Also available in ruby & diamond £890.